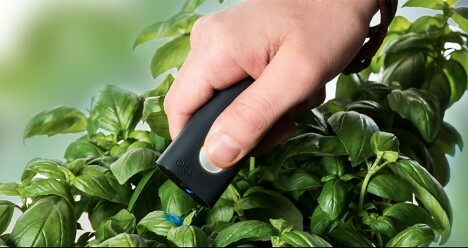 This portable handheld device lets you measure the molecular fingerprint of anything around you, from the alcoholic and caloric content of the cocktail in your hand to the water content and soil quality supporting your hanging houseplants. 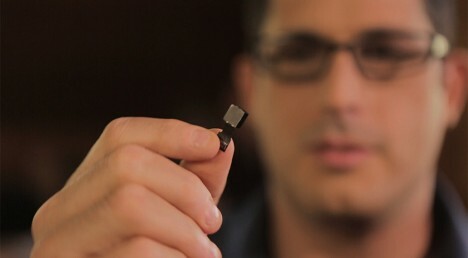 Using a combination of technologies borrowed from both big laboratory spectrometers and mobile-device optics, this miniature gadget measures reflected light, breaks down its spectrum, pings the cloud and uses algorithms to return what amounts to a sophisticated search engine query result (within about 5 seconds). The implications of this are much bigger than the device itself – suddenly, the material makeup of the world around you is both physically and compositionally at your fingertips. You can use it to devise what natural materials, edibles or medications actually contain, then determine the health of your garden plants, the calory content of a shake or how long it might take for your fresh fruit to ripen. Like 23andMe and other personal data-driven companies: with each query users are building and reinforcing the core database of results. 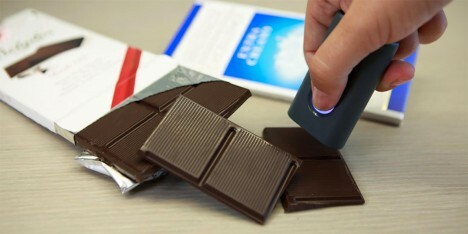 While users are (likely for legal reasons) discouraged from using it as a medical device, it can be employed to determine things like artificial additives or dangerous pesticides on processed foods or produce. 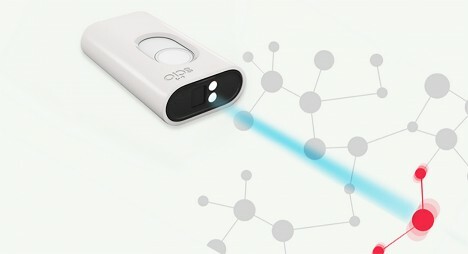 The device sells for around $250 and is compatible with ioS and Android devices. The best part about it: each new user will help drive down the price of future versions of the device, all while making it more accurate over time.